Having just visited one of the sites recently suggested as a place where a replacement for Bootham Park Hospital could be built, let’s head off to that building on Bootham. It’s quite a walk, as the map at the bottom of this page shows. 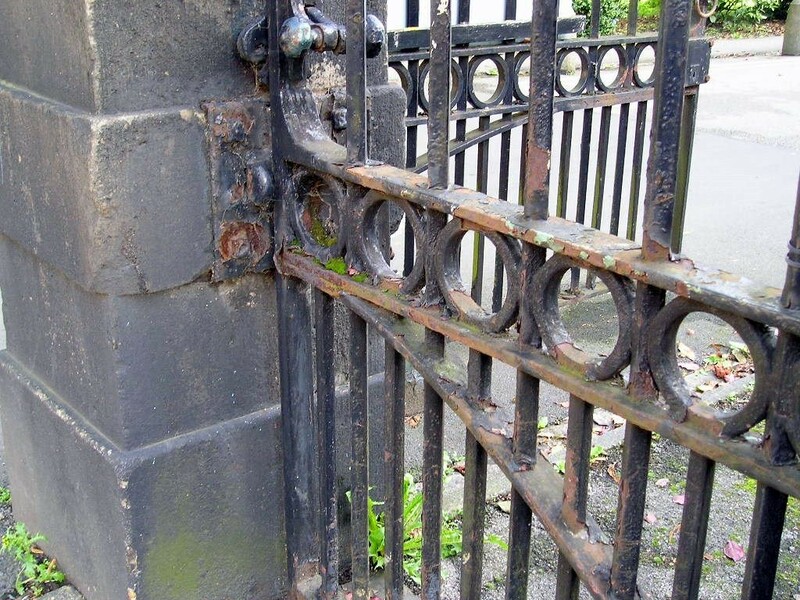 Arriving at Bootham Park’s front entrance we might notice its railings and gates, pictured above. In 2004 when I took that photo they were looking a bit rusty and neglected. They’re now looking even more rusty and neglected. They’re a very obvious indication of some of the difficulties regarding the maintenance and upkeep of a large historic building. The railings don’t really matter. The buildings inside them are what matters. And whether they’re fit for purpose, or could be made to be. But at the moment we’re on the periphery of the site, in the first of several approaches to it. A few months back, signs appeared on these rusty railings, as I noticed on a walk through the hospital site in the evening on the day it closed. They were tied on at regular intervals. The situation was threatening enough, without officious signs. And I say that from the perspective of someone who wasn’t using mental health services and wasn’t directly affected by the closure of the hospital. I walked past many times in the following weeks, and wondered about complaining about them. Partly because I think there are rules about this kind of thing in a designated Conservation Area, and partly because they seemed aggressive and unnecessary, and just really pissed me off. Clearly others thought the same, as they appear to have been ripped off forcibly and kept appearing on the ground. 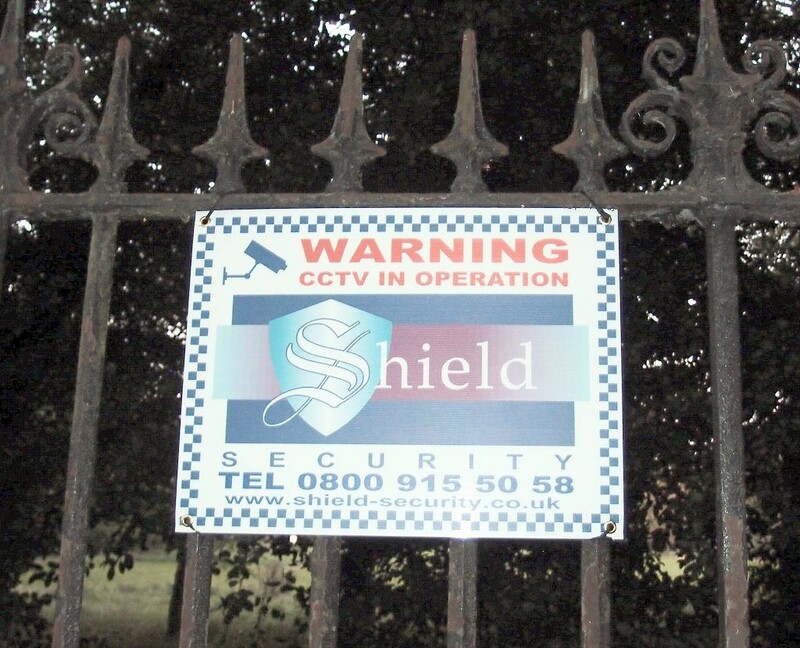 Despite the signs, the site itself wasn’t all locked up that evening after the hospital had closed. I walked through it, and took a few photos. As I have on many occasions before and since. I’ve been wanting to write about this for some time. More later, as we get beyond the signs and the rusty railings and gates. For now, here’s a rough indication of the distance between Bootham Park and the site at Clifton Park/Rawcliffe recently suggested as a possible location for a replacement facility. « Clifton Park: a replacement for Bootham Hospital?